Ms. Tritt's transactional practice is concentrated in estate and business planning. She advises trustees and executors regarding estate and trust administration. 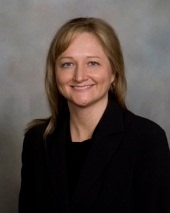 Ms. Tritt also has extensive experience in estate and gift taxation and not-for-profit entities. She obtained her undergraduate degree from Northwestern University and her law degree from Marquette University Law School. Ms. Tritt practiced in Chicago with a large accounting firm and two large law firms before relocating to Sycamore, Illinois. She is also a Certified Public Accountant. Ms. Tritt is a past Chair of the DeKalb Chamber of Commerce and current Treasurer for the DeKalb County History Center. She also serves on the DeKalb County Board of Health and as Co-Chair of the DeKalb County Estate Planning Council.